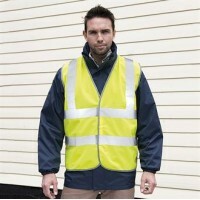 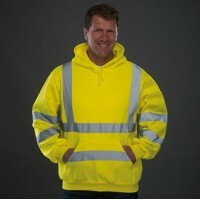 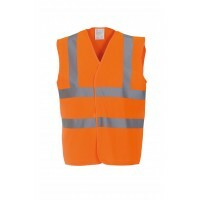 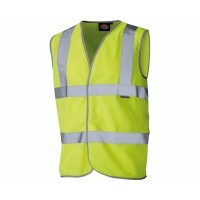 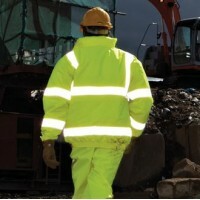 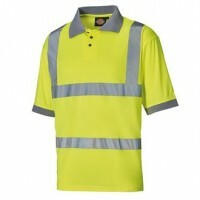 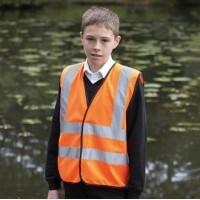 R201X Core motorway vest ISOEN20471:2013, Class 2 Safety body brace tapes To be worn as an over garment Fabric Outer: 120gsm, 100% Polyester Weight 120gsm SizeS/M 39" L/XL 46" 2XL/3XL 53"
Dickies Hi Vis Vest Velcro® fastening 2 hi-vis strips around the body 2 hi-vis strips over each shoulder Fabric 100% Knitted polyester TricotWeight 120gsm SizeM 40/42" L 44/46" XL 48/50" 2XL 52/54" 3XL 56/58"
WD043 Hi-vis polo shirt (SA22075) Manufacturer Code: SA22075 Rib polo with 3-button placket Ribbed cuff on sleeve Hi-vis strips Fabric 100% Polyester Weight 170gsm SizeM 40/42" L 44/46" XL 48/50" 2XL 52/54"
WD041 Hi-vis motorway jacket (SA22045) Manufacturer Code: SA22045 Waterproof Stitched and tape welded seams Heavy duty two-way plastic zip Fabric Outer fabric – 300D PU coated polyester. 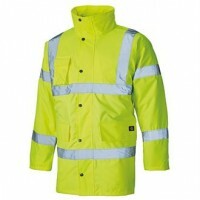 Inner lining: Polyester quilted Weight 180gsm SizeM 40/42" L 44/46" XL 48/50" 2XL 52/54"
WD040 Hi-vis bomber jacket (SA22050) Manufacturer Code: SA22050 Concealed hood with drawcord Waterproof Stitched and tape welded seams Fabric Outer 100% 300D PU coated polyester. 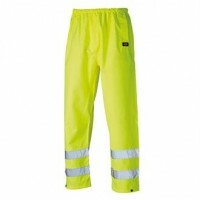 Inner: Polyester quilted Weight 180gsm SizeM 40/42" L 44/46" XL 48/50" 2XL 52/54"
WD042 Hi-vis highway trousers (SA12005) Manufacturer Code: SA12005 Elasticated waist Waterproof Stud adjustment on leg hem Fabric 100% 300D PU coated polyester SizeM 34/36" L 38/40" XL 42/44" 2XL 46/48"
YK032 Hi-vis pull-over hoodie (HVK05) Manufacturer Code: HVK05 Conforms to EN ISO20471 C3 Anti-pill single Jersey knitted soft-feel polyester fabric Attached hood with drawcord adjustment Fabric 100% PolyesterWeight 280gsm SizeS 36/38" M 40/42" L 44/46" XL 48/50" 2XL 52/54" 3XL 56/58"
YK100 Kids hi-vis 2 b&b waistcoat (HVW100CH) Manufacturer Code: HVW100CH Conforms to EN1150:1999 2 5cm reflective tape all over Velcro® fastening Fabric 100% PolyesterWeight 120gsm SizeS 28/30" M 32/34" L 36/38"